A dedicated circuit with incorrect wire size or insufficient amperage may get overheated and possibly start a fire. Everyday each one of us may experience something in our office, warehouse, factory or home and never even think twice about how we are putting ourselves in an unsafe situation! While heating up our coffee we turn on our toaster and we blow a fuse! We start our equipment in our factory and the circuits are tripped! We may feel annoyed or inconvenienced by the situation. However, every time we blow a fuse or trip a circuit breaker our electrical system is just alerting us to the fact that it is overloaded! The National Electrical Code requires that for all major electrical appliances, such as refrigerators, stoves, washers, dryers, space heaters, and more each is to have a dedicated circuit. A dedicated circuit is intended for use with a single appliance with the specific purpose of ensuring that enough power is available so that the appliance can operate safely, without overloading the system. 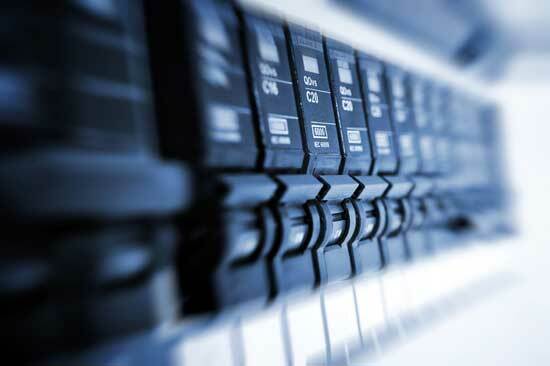 Individual dedicated circuits in Cleveland and Northeast Ohio, with the proper amperage are important in your office, warehouse, factory or home because equipment and appliances that are not wired to a dedicated circuit or are wired to a dedicated circuit with incorrect wire size or insufficient amperage may get overheated and possibly start a fire. 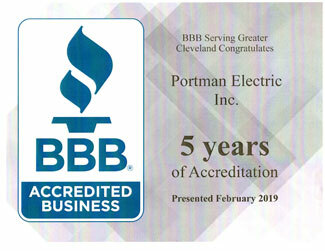 If you are unsure if your equipment or appliances are wired properly or if you are experiencing breakers that are constantly tripping then you will want to contact one of our experienced professional electricians at Portman Electric, Inc. As industrial electrical contractors, our licensed electricians have 28 years of knowledge of National Electrical Code and will ensure that your electrical equipment and appliances have the correct amount of dedicated circuits in Cleveland and Northeast Ohio, to properly power them safely.